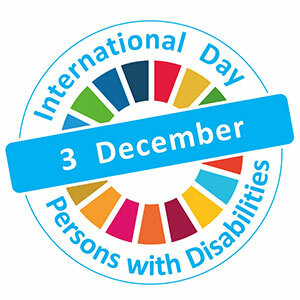 On December 3, the world will observe International Day of Persons with Disabilities with events around the world. Access Earth, a new mobile and online website aiming to become the world's leading provider of accessible venue information, is partnering with Abilities Expo to hold a mapping event in conjunction with the Expo in Washington, D.C.
Access Earth was developed in 2012 by Matt McCann, who has cerebral palsy. He had booked a hotel describing itself online as "wheelchair accessible." On arrival, McCann found steps to the entrance and rooms too small for his rollator mobility aid, sparking both frustration and a desire to help prevent these situations for others. 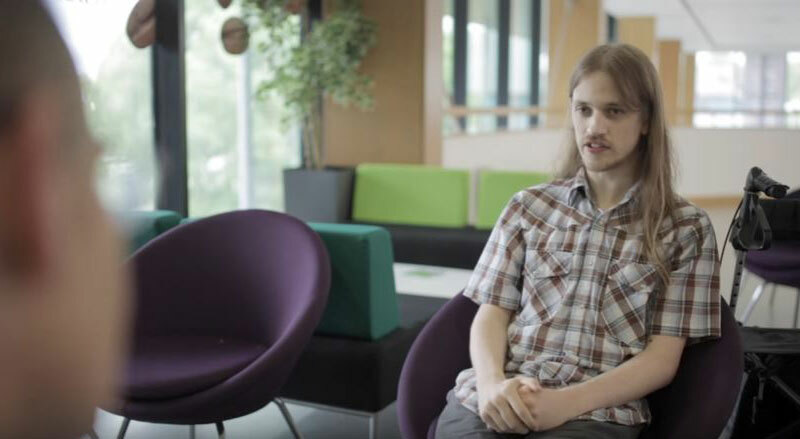 "I knew that being a software engineer I could do something about this lack of specific accessibility information," said McCann. The site's database of venues across the globe is currently split into four categories, covering places to eat and drink, places to sleep, shopping and things to do. Users select a venue type and where around the world they want to search, before specifying accessibility criteria, such as step-free access, ground floor rooms and accessible bathrooms. Anyone can supply a venue accessibility rating, either by answering Access Earth's "accessibility criteria" or leaving a note. 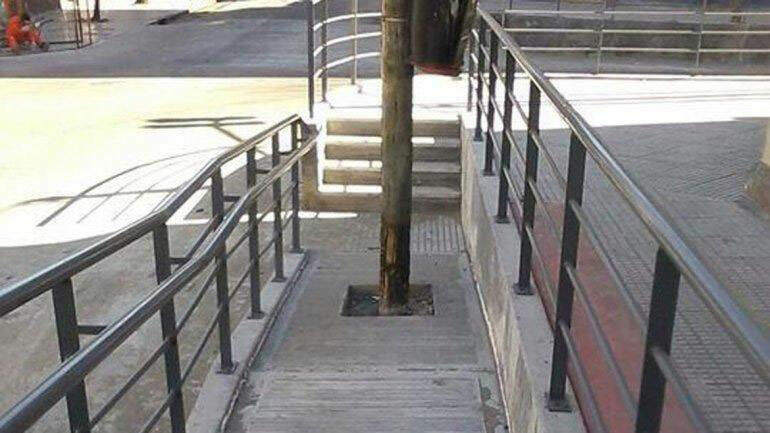 "This could be something like 'the elevator is currently out of order,' or directions to the accessible bathrooms," McCann said. "By keeping the access information up-to-date, we can ensure people have the most accurate information available to them." Users can also add and rate a new venue if it isn't already on the database, as well as sharing information and tips with other users. 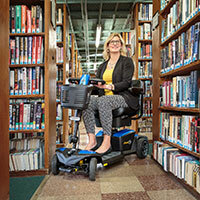 "Think of us as a Yelp/TripAdvisor/Foursquare for people living with disabilities," says McCann. The mapping event will be held at the Abilities Expo DC Metro in Dulles, VA but if you're not going to be in DC, don't let that stop you from participating. On Dec. 3rd, we are encouraging all readers to download the free app and start mapping their local area. Restaurants, theaters, anywhere people may want to go. "When Access Earth becomes as mainstream as Yelp, businesses will be continually striving to improve their accessibility ratings to attract more customers," said Access Earth Advisory Board Member Kathryn Rose. "We invite everyone in the disability community to get involved, download the app and share their experiences. Your participation will pave the way for another's adventure, while their input will pave the way for yours." According to Wikipedia, International Day of Persons with Disabilities (December 3) is an international observance promoted by the United Nations since 1992. It has been celebrated with varying degrees of success around the planet. The observance of the Day aims to promote an understanding of disability issues and mobilize support for the dignity, rights and well-being of persons with disabilities. It also seeks to increase awareness of gains to be derived from the integration of persons with disabilities in every aspect of political, social economic and cultural life. It was originally called "International Day of Disabled Persons" until 2007. Each year, the day focuses on a different issue. The 2016 theme is: Achieving 17 Goals for the Future We Want. Access Earth is one of a number of new and existing platforms that provide crowdsourced location access information, including Johnny's Pass, Euan's Guide and Wheelmap. For more information, visit http://access.earth/.